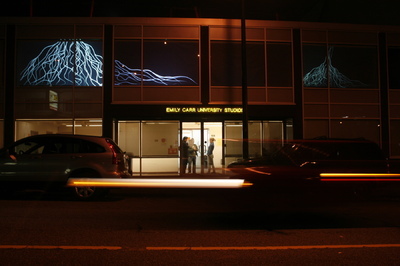 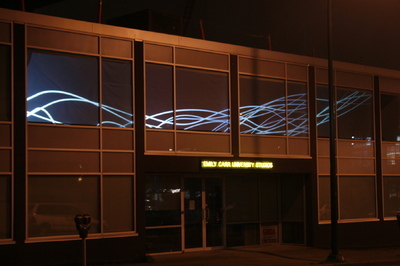 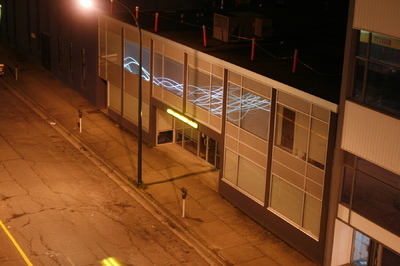 This facade installation was taking place during the Vancouver Olympics. 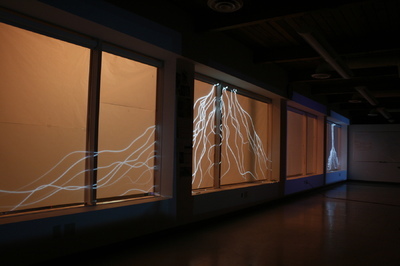 The movement in transdisciplinary design says that, the building is not just the structure of the architect and it is not just teh power of the architect, there is a dialogue that means to care in teh urban world that talks about how these things need to be more interpreted into how society communicates with this and be activated by itself. 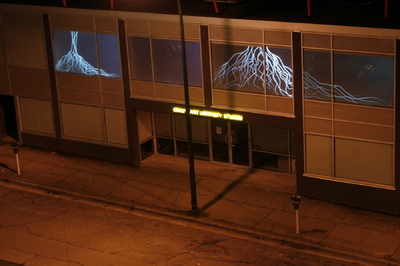 Seeing the building as a canvas turns it in a transit media.